In this month’s letter, Dr. Rick Valachovic explains the meaning of RPSA and reveals nine other ideas that have guided his actions during 22 years as ADEA President and CEO. From my seat within our Association, I’ve had a rare vantage point these past 22 years. I’ve been privileged to serve as ADEA’s Chief Executive Officer in a time of transition—from an organization primarily serving dental schools to a member-driven association representing the multiple communities within dental education. Over the years, I’ve gained insights that have guided my stewardship during this period. Here are 10 of them, captured in mantras, maxims and musings that I hope may prove useful in informing ADEA’s journey ahead. 1. Oral health is a national security issue. Oral health is rarely the first thing that comes to mind when people think about national military readiness. But the reality is, if you can’t eat, you can’t fight—and no one in harm’s way should be distracted by dental pain. Dental conditions, including not having enough teeth, have been among the most common medical reasons for deferment from military service since the American Civil War. In fact, the label “4-F” to denote a medical deferment originated back in the days when recruits needed (and often lacked) four front teeth with which to bite down on a gunpowder cartridge so they could tear it open with one hand. Loading today’s weapons no longer relies on the users’ dentition, yet even in the 21st century, dental readiness remains a concern. The deployment of National Guard and Army Reserve troops to Iraq and Afghanistan revealed significant deficits in their oral health, prompting changes in military regulations aimed at improving the dental readiness of our citizen soldiers. That’s good news, but we must remain vigilant to ensure that the nation’s oral health doesn’t become a threat to its national security. 2. The mouth really is a part of the body. Shortly after the American Civil War, medical schools made it clear that they didn’t want to have anything to do with dental education. They saw the profession as mechanical in nature, dealing mostly with pain and extracting teeth. Ironically, dentistry’s historical isolation from medicine has, in some ways, worked to our advantage. We were forced to take the lead in developing our professions. Yet over time, something counterfactual occurred: The mouth became separated from the rest of the body, almost as though it lacked nerves, blood vessels and other connecting anatomical structures. You may have heard me joke that the oral cavity could be defined as the anatomy between the lips and the tonsils that other health professionals rarely examine, but in truth, this separation is no laughing matter. Fortunately, 150 years later, health care educators and providers have come to recognize the oral cavity for the anatomical organ that it is and advocate for integrating dental and medical care. ADEA’s work as an equal partner with organizations representing educators in other health professions shows our commitment to a future based on interprofessional education and collaborative practice. 3. The face of dentistry is changing. When I graduated from the University of Connecticut School of Dental Medicine, 80% of dentists were white and men. That is no longer the case, and the change has been dramatic. In 2016, for the first time, the majority of applicants to dental school were women. In 2018, for the first time, the majority of applicants to dental school were non-white. These are milestones in the dental profession and it validates the work we’ve been doing to recruit a more diverse pool of applicants. Dentistry has always been a first profession for many families. In my youth, a lot of people like me (of Eastern European descent) were entering dentistry. Today, a quarter of dental school applicants have roots in Asian countries. Through efforts such as the Summer Health Professions Education Program, which we lead with the Association of American Medical Colleges supported by funding from the Robert Wood Johnson Foundation, we continue to strive for even greater diversity in our workforce. Having reached the current tipping point in the dental school applicant pool, we’re on course to create a dental workforce that one day will reflect America’s soon-to-be minority-majority makeup. 4. This year’s graduates will still be practicing in 2060. I completed my pediatric dental residency at the Children’s Hospital Medical Center in Boston in 1979. Had I remained a full-time practicing pediatric dentist, what I learned then would pretty much have carried me through my entire 40-year career. Some dental materials have changed since then, but overall, I could have practiced the way I learned in my program and had a successful career. Four decades later, that’s quite remarkable. Today’s graduates, whether from dental schools or allied dental programs, face a far different future. Changes are already on the horizon—in areas such as robotics, biomaterials, digital dentistry and artificial intelligence—that will transform dental practice in unforeseen ways. The knowledge and skills our graduates acquire in 2019 will not be enough to sustain their careers through 2060. In this context, preparing our students for lifelong learning has taken on enormous importance. We’ve made strides in transforming our curriculum from what was sometimes a hollow exercise in memorization to a meaningful way of equipping practicing professionals with the ability to acquire up-to-date knowledge and skills. That said, we have a long way to go to ensure that our graduates are prepared to keep learning throughout their careers. 5. Success or failure in dentistry is measured in tenths of millimeters. Those of us in the dental professions have reputations for being painstakingly detailed. That may not be the most desired trait in social settings, but our patients are almost universally grateful for our perfectionism. A gap of more than a tenth of a millimeter between the margin of a tooth and a restoration can result in recurrent decay, and none of us wants to think about what happens when an implant perforates a mandibular canal. 6. In today’s world, you have to have an engaging smile. For much of the last century, you could get a good job making steel or cars or lumber, and no employer thought twice about your teeth. Not so in today’s service-oriented economy. To get most jobs, you must have an engaging smile, and any reluctance to show off one’s pearly whites can severely affect a person’s self-esteem. The effect is even greater in the social sphere, where a vast number of people use apps to vet the appearance of potential mates before they have a chance to compete for love on personality or other criteria. These concerns, while essentially cosmetic, have created a greater appreciation for the value of dental health. A radiant smile relies on healthy gums, strong enamel, and proper spacing of the teeth—conditions that allow for pain-free use of the oral cavity in essential activities such as eating and speaking. Access to proper dental hygiene and restorative care can assure these functions and give people a critical tool for economic and social success. 7. Dental schools need to be part of the trunk of the academic tree. Between 1986 and 2000, seven dental schools closed and another seven almost met the same fate. What distinguished these two groups? The ones that closed thought that dental schools were different from other units of their parent institutions and positioned themselves “out on a limb” on the academic tree, making it easy for the parent institution to cut them off. The schools that survived had made themselves part of the trunk of the academic tree. They were engaged with the main campus, their faculty served on university committees, and their strategic plans were consistent with those of their parent institutions. To thrive, all of our schools and programs must be integral to their parent institutions and serve these institutions’ missions and goals. That’s a lesson we can’t afford to ignore. 8. If you’ve seen one dental school, you’ve seen one dental school. I often hear people make sweeping statements about dental education. While they usually contain a grain of truth, we need to stop painting with such a broad brush, especially when it comes to describing our perceived shortcomings. Each dental school has a unique blend of strengths and challenges. While accrediting bodies in the United States and Canada ensure that all dental schools meet national standards, for the moment, at least, we’ve managed to remain flexible and innovative. In fact, most dental schools are taking astonishing steps to differentiate themselves from one another. Many are exceptionally innovative—whether in research, community-based education, integration of technology, interprofessional learning environments, or some other area. Many dental schools are now thought of as the “front porch” of their universities through their teaching clinics and their presence in federally qualified health centers and mobile vans. Unlike McDonald’s franchises, you won’t find the same things on the menu no matter where you go, and that’s one of dental education’s strengths. 9. Where you stand depends on where you sit. Most human endeavors have a political dimension, and dental education is no different. After years of advocating for change inside the Beltway, in Chicago and elsewhere, I’ve come to realize that you can’t make progress unless you understand where those with differing views are coming from. I mean that quite literally. Whether negotiations are occurring at the federal level, state level or within or among our academic and professional organizations, each person at the table has to go home and justify his or her actions. If you can help make a case that will satisfy your opponent’s constituents, that’s half the battle. ADEA’s recent progress on the licensure front exemplifies the value of this approach. For years, we rubbed up against the competing interests of students, educators, practicing clinicians and those charged with protecting the public’s welfare. But over the last two years, we mentally put ourselves in each other’s shoes and quickly discovered that we shared considerable common ground. It’s a lesson worth remembering as we take on new challenges. 10. Relentlessly pursue strategic alliances. In all our Association’s initiatives, the relentless pursuit of strategic alliances, or RPSA (I pronounce it “rip saw”), has been my mantra. Why? As the academic branch of a relatively small profession, dental education has always risked being marginalized. When I arrived at ADEA 22 years ago, I quickly discovered that we had incredibly weak relationships with outside organizations whose concerns overlapped with our own. We had next to no interaction with most of these groups and spent little energy and few resources on fostering collaborations. But as most of you know, I soon challenged our Association to turn these potential allies into strategic partners. We forged ties with organized dentistry, with education organizations representing the other health professions, and with national associations focused on higher education. We successfully deepened our relationships with a growing number of corporate partners. And then we reached beyond our borders to pursue stronger global ties, which have blossomed in recent years. Along the way I learned that a hearty laugh and a sense of humor can make all the difference in getting others to engage. Thanks to RPSA, we are now integral to the intraprofessional, interprofessional and globalized future that is shaping both health professions education and health care delivery. I hope you will agree that RPSA has served us well. In this month’s letter, Dr. Rick Valachovic looks at how military service can prepare dentists for encore careers as dental educators. About 10 years ago, I had the honor of participating in a national educators’ tour sponsored by the U.S. Army Medical Field Service School at Fort Sam Houston in San Antonio, TX. I met uniformed health professionals of all kinds and came to more fully appreciate their commitment to the needs of both healthy soldiers and those who had returned from conflicts with injuries. Impressively, all the dentists with whom I interacted were either already board certified or on the path to board certification in general dentistry or a dental specialty program. But what struck me most was how the entire health care team was focused on its mission: keeping service personnel healthy and ready to deploy. Oral health is rarely the first thing that comes to mind when people think about national readiness, but dental conditions, including not having enough teeth, have been among the most common medical reasons for deferment from military service since the Civil War. In fact, the label “4-F” to denote a medical deferment originated back in the days when recruits needed (and often lacked) four front teeth with which to bite down on a gun powder cartridge so they could tear it open with one hand. Loading today’s weapons no longer relies on the users’ dentition, yet even in the 21st century, dental readiness remains a concern. When the army called up members of the National Guard and Army Reserve to deploy to Iraq in the early- to mid-2000s, roughly 50% of these citizen soldiers had dental problems that made them unfit to serve overseas. Like many other Americans, guardsmen often lacked dental insurance or the means to pay for routine dental care. A change in Army regulations in 2010 reminded reserve troops that they are responsible for their own dental readiness and charged commanders with ensuring the dental readiness of the troops they lead, incentivizing everyone to promote and maintain better oral health. In contrast, active-duty service personnel can receive dental care at little or no cost, thanks to a robust corps of military dental officers. ADEA Senior Scholar in Residence Leo Rouse, D.D.S., FACD, was one of them, and he ultimately served as Commander of the U.S. Army Dental Command. If the name Schwarzkopf is not familiar to you, he became a four-star general and then a household name when he commanded coalition forces during the Persian Gulf War. Fortunately, he and others in the military shared Leo’s views, and over the decades, the services have established a series of dental centers and postgraduate programs where service members can receive excellent care. The Dean of the Boston University (BU) Henry M. Goldman School of Dental Medicine, Jeffrey W. Hutter, D.M.D., M.Ed., attended one of these programs at the National Naval Dental Center (now the Navy Postgraduate Dental School) in Bethesda, MD. Before graduating from the University of Pennsylvania School of Dental Medicine, he sought a commission as a lieutenant in the U.S. Navy Dental Corps. The position came with a two-year service obligation, and he and his wife soon discovered that they liked the military lifestyle and the educational opportunities the Navy offered. “You were a naval officer first, then you were a Dental Corps officer,” he recalls, which was a far cry from the private practice existence he envisioned for himself while still in dental school. Following his specialty training, Jeff was sent to the Naval Dental Center in Pearl Harbor, HI, where he says working with junior dental officers gave him his first taste of what being an educator might be like. He asked to serve next at the National Naval Dental Center in Norfolk, VA, home of the world’s largest naval base. There he ran the endodontics department and developed a one-year fellowship program in endodontics. After four years at that duty station, Jeff began to see himself as an educator, a reality that was confirmed by his next posting as chair of the department of endodontics and director of the Advanced Specialty Education Program in Endodontics at the National Naval Dental Center in Bethesda. “I went from being a resident in the program to now running the program itself,” he recalls happily. By the time Jeff retired in the summer of 1996, he knew he wanted to stay in education, and his rise through the ranks at BU confirms that academia has been an excellent fit for this retired military officer. That comes as no surprise to Leo Rouse, who made the same transition himself and eventually served as the Dean of Howard University College of Dentistry. As John points out, retired military dentists also understand structure, learning curves and advancement processes, knowledge that prepares them well for the rigors of promotion and tenure. And because the military attracts a diverse cross-section of Americans, recruiting faculty from the veteran population also helps make dental schools more diverse. That’s important at a public institution such as UTSD, John says, that wants faculty, students and staff to reflect the population of the state. During my visit to the Medical Field Service School at Fort Sam Houston, and more recently through my service on the Veterans Administration National Academic Affiliations Council, I’ve also come to appreciate that veterans bring another invaluable asset to academic dental institutions: knowing how to function as part of a team. Military health professionals are focused on the mission, and that focus is key to their ability to dismantle the barriers that have traditionally stood in the way of interprofessional education and collaborative care. What better group could we look to for future faculty than these board-certified dentists for whom interprofessional collaboration is the norm? The challenge is making the connection between military service and academic dental careers. Most military dentists have only worked in military environments. We need to provide them with opportunities to become acquainted with civilian academic culture, so they can see how easily they might fit in. As Jeff Hutter’s experience illustrates, military service is imbued with educational opportunities that provide an excellent foundation for future academic careers, and officer training provides leadership experiences that would be hard to come by in the civilian dental world. “The Navy gave me the tools to be a leader and to work with students, residents, faculty and staff as a team,” Jeff told me. He is grateful for that experience, and we should be, too. It’s a privilege to welcome retired military dentists to our academic institutions, and I hope we will be welcoming more of them soon. In this month’s letter, Dr. Rick Valachovic highlights digital technologies that are transforming the way we live and the way we provide clinical care. The hype around IBM’s Watson and the computer’s failure to revolutionize medical diagnosis since making its debut on the game show Jeopardy! have left many observers reluctant to jump on the next big technological bandwagon. You may be among them, and with good reason. Acquiring new technology can be costly and time-consuming, and it can take fortitude to persevere through the pain that often comes with learning to use it properly, especially when you have to bring others along for the ride. Does that mean we should shrink from the opportunities before us? Hardly. We just need to do more to prepare for what lies ahead. That’s why Mary Truhlar, D.D.S., M.S., Dean of the Stony Brook University School of Dental Medicine and Chair of the ADEA Council of Deans, chose to focus this year’s ADEA Deans’ Conference on the technological challenges faced by dental schools. Over the course of several days in California, deans and their colleagues learned from one another about successfully integrating new technologies in the past and heard from outside experts about what’s coming down the road. “There is so much going on in the clinical realm that is absolutely breathtaking,” said Bruce Lieberthal, Chief Innovation Officer at Henry Schein, Inc., who spoke about health care technology at the conference. Since 2015, Bruce has headed the innovation group at Henry Schein, an ADEA Corporate Member and a distributor of dental equipment and supplies. He shared descriptions of what’s taking place in the health care innovation landscape and explained the role that artificial intelligence (AI) is playing as a facilitator of this progress. The dream of getting computers to think has been around since the 1950s, but the ability to realize that dream has only been possible in the wake of six recent developments. The dramatic increase in computing power. Today’s desktop computers have 1.3 million times more brute computing power than the computer that took NASA’s Apollo 11 mission to the moon and back. The increase in communication speed and the decrease in latency, the delay before a transfer of data begins. With the introduction of 5G communications, that speed will increase to the point where a surgeon guiding an operation remotely and the robot making incisions act at essentially the same time. The ability to miniaturize computer chips to embed powerful processors in smaller and smaller devices. The creation of artificial neural networks that simulate how the human mind works. The accumulation of sufficient data sets to facilitate computer learning. The advent of deep learning, the process by which computers apply neural networks to the analysis of diverse data to solve complex problems. AI has been key to the development of the Internet of Things (IOT). I suspect you are familiar with IOT through the boom in smart devices for the home. With 5 billion IOT devices in the world today, many of us are regulating our thermostats or operating home security systems through our smartphones. I’ve noticed many of you wearing devices that track your steps and other data, and these “wearables” become more sophisticated every year. The latest Apple Watch can generate an electrocardiogram in just 40 seconds. Meanwhile, in the realm of dentistry, smart toothbrushes are tracking how long and how well people brush. These devices represent just the most visible manifestations of the use of IOT in the health care arena. Implantable devices, such as electrodes that stimulate the brain, and ingestible sensors aimed at tracking medication use are the next frontier in remotely managing chronic conditions. More than 40% of Americans have one or more of chronic diseases, which account for an estimated 75% of all health care spending. Being able to monitor these conditions outside of health care settings—before they become acute—is a crucial strategy for keeping people healthy and keeping down costs. What will these technologies mean for the dental office? Imagine walking into a practice and activating the lights, the computers and the compressor by simply saying, “Good morning.” The thermostat setting moves up or down depending on the time of year, and music starts to flow through the sound system. During your first appointment, your assistant returns from the supply closet with the materials you will be using that day, and before you even employ them, your inventory control program, thanks to sensor technology, has already placed orders for those that are running low. IOT technologies also have the potential to substantially improve the patient experience. As individuals are ushered into separate operatories, music can put them at ease by changing in accordance with the preferences stored in their health records. As patients exit from the practice, postoperative instructions can appear on their smartphones along with coupons for the drugs they need to purchase. Another ADEA Deans’ Conference speaker, Larry Emmott, D.D.S., also anticipates advances in genetics and big data playing a growing role in diagnosis, with digital lab-on-a-chip devices taking center stage. Larry writes about digital technology in his Emmott on Technology blog, and he has made it his mission to help dental professionals make good technology choices. Larry attributes much of the expanded use of digital technologies in diagnosis to what he calls “these little miracles in our pockets,” our smartphones. One example he told us about: a $5 test for the human immunodeficiency virus made from a specialized chip and a 3D printed interface that can be attached to a smartphone. On the treatment side, Larry foresees advances in dentistry that are “just mind-boggling.” He expects that robotic surgery and the use of lasers will improve the precision and the experience of care. So will 3D printing, which is already transforming the construction of dental restorations. Others are using bio-plotters to custom build teeth and pieces of bone from human cells. And Bruce knows of at least one company that is seeking FDA approval for the use of nanotechnology to embed antimicrobial properties in dental restorative materials. Mind-boggling, indeed! These tools could be revolutionary—in part because they may ultimately allow people to diagnose and treat many conditions themselves well before entering a dental office or other health care setting. While clearly enthusiastic about the power of the digital revolution, Larry is also well aware of the barriers that may continue to impede progress in these areas for some time to come. For starters, he notes that a lack of data security and privacy concerns are holding back the spread of technologies that rely on the Internet to store and share data. Second, he says that dentistry is “plagued by proprietary systems,” which prevent information sharing in ways that would allow for significant advances in research and clinical care. Third, the absence of standards for interoperability that stakeholders honor and adhere to—not just in dentistry but in medicine as well—continues to stymie progress. Fourth, state licensure requirements and other regulations stand in the way of innovations such as telehealth. Finally, our own dental culture is likely holding many of us back. As Larry rightly points out, dental professionals as a group are rule-oriented, and we value precision. We are taught to follow step-by-step procedures and are loath to deviate from what we know. Too often, when we do embrace a new technology, we don’t adapt our practices to take full advantage of its capabilities. “If dentists don’t have a vision of what they’re trying to accomplish, they can spend a lot of money on technology and get very little benefit,” Larry observed. Too often this has been the case, but informative programs, such as the conference the deans enjoyed this fall, can do a great deal to inform our vision of the future and help us successfully integrate technology into our schools and practices. Ultimately, smart devices are about much more than convenience. When creatively deployed, these groundbreaking technologies can also make people healthier, and they might even reduce preventable morbidity and mortality. I have no doubt that technological advances in health care have a bright future, but the challenge we face now as dental educators is to prepare our students for a more digitally assisted clinical environment while also teaching them to function in the world as it currently exists. Truly, there is much to ponder about how we meet this challenge. In this month’s letter, Dr. Rick Valachovic shares key findings from a landmark report that describes the reasons change is needed in dental licensure and sets a pathway forward. 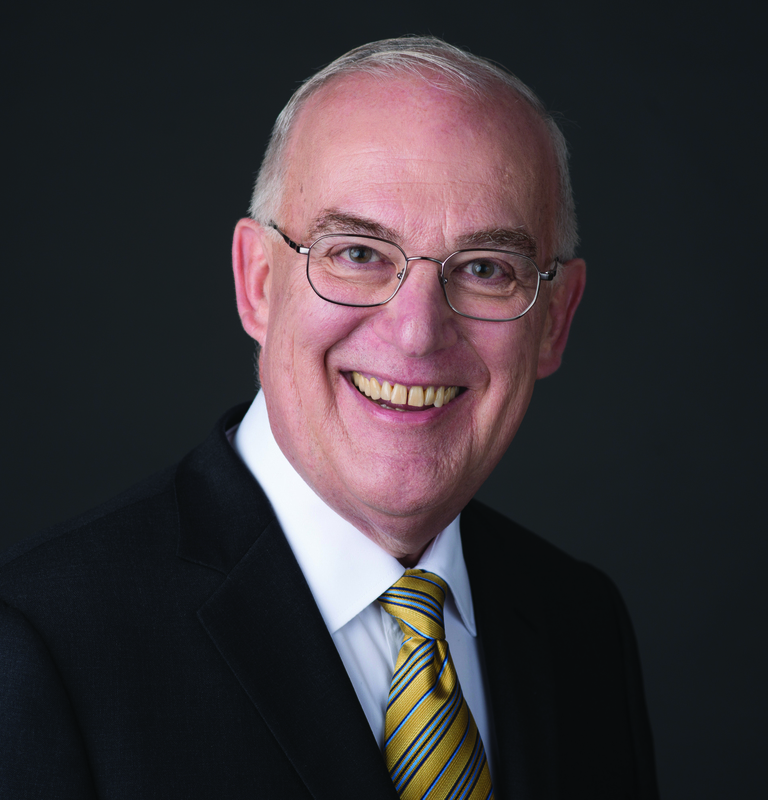 Monty MacNeil, D.D.S., M.Dent.Sc., 2018-19 Chair of the ADEA Board of Directors, has been concerned about the dental licensure process since his days as Academic Dean at the University of Connecticut School of Dental Medicine. Eliminating the use of single encounter, procedure-based examinations on patients as part of the licensure process has been official ADEA policy since 2011. The American Dental Association (ADA) embraced this position even earlier, in 2005. And now, in partnership with the American Student Dental Association (ASDA), a joint task force of our three organizations—the Task Force on Assessment of Readiness for Practice (TARP)—has authored a landmark report that calls upon state dental boards to replace these exams with ethically grounded clinical assessments that provide a more valid and reliable measure of graduates’ readiness for practice. “The ‘live patient’ exam always had a stigma around it, but it was the only game in town,” says Joe Crowley, D.D.S., ADA Past President. Thankfully, during the past decade, several pioneering states have been early adopters of alternative ways of assessing clinical competency for initial licensure. These include mandatory accredited advanced dental education, portfolios, curriculum-integrated format exams and the Objective Structured Clinical Exam (OSCE), first used for licensure in Canada. One state, Colorado, accepts all pathways to licensure. To scale these efforts nationally, in 2016 the ADA committed to developing an OSCE for U.S. dental licensure, and our Association took on the task of creating a compendium of clinical competency assessments that would build on the California Hybrid Portfolio, which is now a recognized pathway to licensure in that state. Once these two new assessments are in place, the challenge will be to convince additional states to adopt them as pathways to licensure and eliminate the use of single encounter, procedure-based examinations. In the meantime, our best strategy for convincing states to modernize the initial dental licensure process may be to start by focusing on the second goal articulated by the Task Force: license portability. The TARP Report urges states to update the laws and rules governing licensure by credentials so a license to practice dentistry in one state becomes “portable,” allowing dentists to practice in any state of the union. The Federal Trade Commission (FTC) has raised similar concerns, and in recent years, the agency has argued against restrictions on professional licensure on anti-competitive grounds. A White House report takes a similar stance, and a separate paper from the Hamilton Project and The Brookings Institution comes to the same conclusion. “When designed and implemented appropriately, licensing can benefit practitioners and consumers through improving quality and protecting public health and safety,” the paper states. However, licensing restrictions are often “inconsistent, inefficient, and arbitrary,” the paper adds, restricting mobility across states and increasing the cost of services to consumers. Colorado made history in 2016 by deciding to accept all ways of assessing clinical competency (alternative as well as traditional) as pathways to Colorado licensure for dentists and dental hygienists. Currently, a small minority of states accept one or more alternative pathways, 10 states accept only two or three of the traditional regional exams, and four states accept only one exam. The Task Force calls upon dental boards in all states to go the way of Colorado until the report’s two larger goals have been met. And ignoring this consensus will soon become even harder. News of the Task Force report was well received in the trade press. ADEA will develop a compendium of clinical competency assessments that are valid and reliable in demonstrating that our graduates are competent to enter practice. The ADA will complete development of its dental licensure OSCE and begin testing the new exam in late 2019. Several schools have already expressed a strong interest in taking part in the pilot, and more details will be available by the time of the 2019 ADEA Annual Session & Exhibition in March. At the same time, the newly established Coalition for Reform in Dental Licensure will begin creating an infrastructure to advocate for change across the states. Representatives from ASDA, the ADA and ADEA have already been chosen. The Coalition is currently reviewing the perceived readiness of various states to consider changes in their initial licensure and portability rules. The next step will be to establish state-focused coalitions to advocate for change in 2019. The experience in Colorado has shown that students, residents and fellows are incredibly effective in the advocacy arena, and I anticipate that as informed advocates who stand ready to “vote with their feet,” they will play key roles in the next phase of this endeavor across the states. As ADEA Chief Policy Officer Denice Stewart, D.D.S., M.H.S.A., points out, “ADEA, ADA and ASDA have come out against the single encounter, procedure-based examinations on patients. These exams place a significant burden on students, schools and programs; they are expensive, time-consuming and stressful. If students can choose any pathway to licensure, they may be less likely to choose traditional exams.” Once that occurs, we will likely find ourselves at a tipping point, where states still following a 20th-century licensure model will feel greater pressure to change. The Task Force report makes one other observation that is vital to consider if we hope to hasten the pace of change. The handful of states in which new and additional pathways to licensure have been adopted share a common attribute: a high degree of trust among the state dental board, the state dental association and the dental schools located within the state. That trust was built on long-standing relationships and also on knowledge—of how and why education works, and how CODA accreditation ensures that a competent dentist is the end result of a dental education. Much of that knowledge was gained through exposure—something ADEA members can encourage by inviting dental board members to observe accreditation site visits and other important events in the life of a dental school. When I spoke with examiners last year for an earlier column on this topic, they expressed a number of valid concerns about the licensure process, including a desire for third-party oversight of licensure assessments conducted in dental schools. Members of the Coalition have expressed their openness to third-party engagement, and Ceil agrees that this would be a welcome development. “I’d love to see some meetings where we sit down and think jointly about what kind of assessment documentation would give state boards and examiners confidence in what dental schools are doing,” she says. Given developments related to licensure at the national level, it’s urgent that we do so. “Just as all politics is local, all licensure is local,” Ceil points out, “at least until the FTC or some other group steps in.” She hopes it won’t get to that point, believing it’s better for our community to find our own solutions than to have them thrust upon us. I agree, and I’m confident we will be able to find common ground with the state boards and the examining community, just as we have with ASDA and the ADA. In this month’s letter, Dr. Rick Valachovic explores what the 2018 ADEA Survey of Dental School Seniors reveals about ADEA’s work in five key areas. Each year the annual ADEA Survey of Dental School Seniors offers a contemporary snapshot of the most recent graduating class and provides insights on how we are doing as dental educators. We’ve yet to fully digest this year’s data, but I’ve had a chance to study the numbers we’ve gathered. The data are telling with regard to a few of ADEA’s recent priorities, so I thought I’d give you an early look at what this year’s senior survey reveals about our work in these areas. The creation of ADEA Chapters on campuses is our latest initiative aimed at defining the value and appeal of academic careers. Just two years since their official launch, 48 ADEA Chapters now exist across the U.S (47) and Canada (1)—strong growth from 36 chapters at the start of 2018. Student involvement in the chapters appears to have become mainstream; about a third of respondents indicated that they had participated in their campus ADEA Chapter in some way and most seniors reported that they had attended a chapter event. Other good news: A healthy 10% of respondents reported having held a leadership position, organized an event, or both, with membership on the rise within the ADEA Council of Students, Residents and Fellows. It is important to thank ADEA Chair of the Board Monty MacNeil for some of this recent progress. Growing the number of ADEA Chapters was one of his top priorities in 2018-19, a message he has delivered far and wide across the ADEA community, and one he underscored at the ADEA Deans’ Conference this past week. Earlier this year, at his direction, ADEA launched a yearlong promotional effort by naming October “ADEA Chapter Month” and providing resources to schools to help them form chapters and support students interested in learning about academic careers. Key resources that support ADEA Chapter Month include a chapter toolkit and a policy brief that articulates the value of the chapters and describes financial programs for students and residents ready to pursue academic dentistry. Cultivating future faculty is, of course, a primary goal of these activities. Are ADEA Chapters bringing us closer to our objective? The survey data reveal encouraging news—53% of the students who told us about their intentions said they “definitely” or “probably” plan to teach at some point in their careers. Among that subgroup, 95 respondents said they plan to teach immediately after graduation. If this many graduates joined the faculty ranks each year, we’d be well on our way to solving a persistent problem with faculty vacancies, numbering between 200 and 400 since 2005. ADEA has invested considerable effort in recent years advocating for changes to the way U.S. dentists and hygienists are licensed, and our Association is not alone. Some individual schools, educators and partner organizations also have taken bold steps to develop new pathways to licensure that would eliminate the need for single-encounter, procedure-based examinations on patients and enable greater mobility for licensed dentists. Those of you who have been following this critical topic closely will remember that the yearlong postgraduate residency (PGY1) option; Curriculum Integrated Format (CIF) exam; the Objective Structured Clinical Exam (OSCE), adopted from Canada for use in Minnesota; and the California Portfolio Exam (CPE) were initially greeted with skepticism. They remain controversial in some quarters, but today each of these pathways to licensure is well established in at least one state, and a growing number of states accept one or more of these alternatives. With California and New York—two populous states, each with multiple dental schools—in the mix, it’s easy to see why new pathways to licensure impact more and more dental school seniors each year. As a result, the 2018 survey contains several new questions that reflect these changes in the licensure landscape. What do the answers reveal? While the various single encounter, procedure-based exams administered at the state or regional level continue to represent 75% of the licensure pathways pursued by this year’s graduates, a substantial minority of the class of 2018 pursued or planned to pursue an alternative pathway. Because some individuals seek licensure through more than one pathway, it’s hard to share precise numbers. The survey suggests, however, that as many as 1,500 seniors may have taken advantage of alternatives to regional and state exams in 2018. That would not have been possible a decade ago, but the survey also tells us that much remains the same. A full 89% of respondents said the second most influential factor in their choice of pathway was that the chosen exam was the only one accepted in the state where they intend to practice. For more on this ADEA priority, be sure to read next month’s Charting Progress, which will discuss how the Report of the Task Force on Assessment of Readiness for Practice released in September creates a roadmap for change in dental licensure. For the first time, this year’s survey included 16 questions related to student well-being, a topic I addressed in Charting Progress in July 2017. At the time, ADEA was taking steps to respond to rising concerns about burnout, depression and suicide among health professionals and a possible precursor to these problems: student stress. I’m pleased to report that responses to the well-being questions were high—and encouraging. Almost 90% of responding students indicated that they “always find new and interesting aspects” of their dental school experience, and more than 90% indicated they usually can manage their dental school workload and cope with the attendant pressures. At the same time, similar numbers of students sometimes feel overwhelmed, and a smaller majority of students report that they often feel “worn out and weary” or “emotionally drained” at the end of the day. These findings suggest that our recent emphasis on student wellness is well placed, and that continued efforts to boost student resilience and well-being are warranted. ADEA remains engaged in this work, through the ADEA Commission on Change and Innovation in Dental Education, through various ADEA councils and as an inaugural sponsor of the Action Collaborative on Clinician Well-Being and Resilience at the National Academy of Medicine. For more on this ADEA priority, see the American Dental Education Association (ADEA) Statement on Commitment to Clinician Well-being and Resilience. The survey also reveals continued engagement in two areas of perennial concern to ADEA: preparing students to practice interprofessionally and care for underserved populations. Schools have taken a number of steps to enhance student preparation in both these areas, and the survey respondents indicated that those efforts are paying off. More than 90% of seniors expressed confidence in the preparation they received in the areas of cultural competency, behavioral and social determinants of health, and dental care for LGBTQ and racially, ethnically or culturally diverse groups—populations that are often underserved. Despite feeling well-prepared to take on this effort, only 61% of respondents said they planned to work in an underserved area at some point in their careers. It’s probably worth exploring why the remaining respondents have ruled out this avenue for practice. On a more encouraging note, 645 students indicated they planned to work in an underserved area immediately after graduation. Most ADEA members know that we’ve spent much of the last decade encouraging IPE as a means to prepare dental students for collaborative practice. As a founding member of the Interprofessional Education Collaborative (IPEC), we’ve helped define the nature of IPE and support a series of IPEC Faculty Development Institutes and other events that have helped our members implement IPE on their campuses. Given this investment, it’s not surprising that 82% of this year’s seniors reported taking part in a wide variety of IPE experiences that helped them gain a better understanding of the roles of other health professions in caring for patients. The survey indicated that 68% of dental students in the class of 2018 interacted with nursing students, 64% with pharmacy students and 44% with medical students during their dental education. Although seniors reported that classroom activities predominated, the survey also showed that more than a third of IPE activities were clinical, and some involved research. Seniors also indicated that they had ample opportunities to engage in volunteer activities with students from other professions. The vast majority of seniors, 83%, agreed that they had benefited from working with other health professions students. What jumps out at me from the review of data is that a sizable portion of the students who plan to pursue careers in teaching or serving the underserved are ready to implement their career plans. I don’t want to infer too much from the survey findings, but might they suggest that our efforts to move beyond simple exposure to create immersive educational experiences in these areas is giving students the confidence to take the road less traveled? Dental students’ desire to engage in these pursuits immediately after graduation is heartening. Of course, this will take time; it will be a few years before these graduates have all embarked on their careers, as many of their fellow seniors have moved on to advanced dental education programs. I’m eager to see how the entire class of 2018 takes on the world. It’s worth noting that this year we piloted a customized version of the ADEA Survey of Dental School Seniors with students at Canadian dental schools. Each Canadian school has its own exit survey, so it may be some time before response rates on the new ADEA survey allow us to gain clear perspective on seniors’ experiences north of our common border. Nevertheless, our Canadian colleagues have expressed a desire to continue working with us to create a fuller picture of dental education in North America. The annual senior survey is one valuable tool in that pursuit. In this month’s Charting Progress, Dr. Rick Valachovic takes a second look at a disruptive force in the dental marketplace and asks what it means for dental schools and programs as they prepare students for practice. Are we doing enough to prepare students for the shifts occurring in the business of dentistry? Should we be doing more to help our students evaluate their opportunities both as employees and as entrepreneurs? A lot has happened since I asked those questions in 2014 as part of a column titled “From Bungalow to Big Box? How DSOs Could Change the Face of Dentistry”. At the time, there was even some lingering disagreement about what term to use to describe dental support organizations (DSOs)—businesses that offer a range of nonclinical support services to affiliated dental practices. DSOs vary, but affiliates are typically group dental practices that have outsourced their marketing, billing and IT functions to the DSO and adopted its corporate branding. From a consumer perspective, these practices appear to be part of a chain, and they are sometimes called “corporate practices” to distinguish them from the solo and small group practices that have long dominated dentistry. Today, the term DSO is well established, and these once marginal players have gained a strong foothold in the marketplace for dental services. In an age of increasing consolidation among health care delivery entities, this shouldn’t be surprising. Nevertheless, the rise of DSOs represents a remarkable cultural shift. Why is the appeal of these entities growing? Simply put, they fill a need by addressing a number of the stressors faced by today’s dental practices. Whether a practice struggles to market its services online and through social media; decipher ever-changing insurance contracts; maintain an electronic health record; or finance the acquisition, installation and maintenance of sophisticated digital equipment, DSOs offer a range of services that free up affiliated dentists to focus almost exclusively on the clinical aspects of their profession. This proposition has proven especially attractive to millennials. By 2015, nearly 12% of dental school graduates entering private practice were choosing to work for corporate practices affiliated with DSOs. This year’s ADEA Survey of Dental School Seniors showed that 16% were making this career choice. Some older dentists have also jumped on board, eager to avail themselves of the ready-made solutions that DSOs offer to the increasingly complex challenges of running a mature practice. According to Michael, DSOs have evolved to help practices adapt to the new health care landscape by developing different competencies for different affiliates. Some DSOs have strong marketing and branding capabilities and primarily build practices from scratch. Other DSOs focus on technology or on a dental specialty, such as prosthodontics. In recent years, he estimates, DSOs have experienced double-digit growth—in the number of practices supported, the number of dentists supported, and the number of patients seen in DSO-affiliated practices. “Year in, year out, I’ve seen continued growth in the ability and competency of the DSOs to create more value for their supported practices and dentists,” Michael said. There’s no question that DSOs have a lot to offer, but for those of us educated in an era when independent, solo practice was the norm, practicing dentistry in a corporate environment requires a cultural shift not all of us are ready to embrace. That’s partially due to the unfortunate checkered history of a few corporate practices, a history that has fueled skepticism about the quality of care provided by all such practices. “From what we hear, in a DSO there is pressure to produce from the start and not necessarily the mentorship where the doctor/owner has a vested interest in seeing that treatment is done properly,” says Gary Badger, D.D.S., M.S., who recently retired as Professor, Chair and Program Director of the Department of Pediatric Dentistry at the University of Texas School of Dentistry at Houston. He is especially concerned that new dentists who work in corporate practices will be less inclined to take the time they need to seek advice when they are unsure about a procedure. “They get the message that if they don’t produce, they are not needed,” he says. Gary acknowledges that all corporate practices are not alike. He thinks students can—and should—vet all potential employers as they make their post-graduation plans. He wants students to find out about an organization’s reputation before signing on and scrutinize contracts to make sure they leave room for decision-making based on ethical principles rather than financial goals. Explain shifts that occur in the business of dental practice. Provide a clear understanding of the legal structure of the corporate practice of dentistry and the dentist’s rights and responsibilities in this practice model and others. Review time allotted in the dental curriculum for inquiry into the corporate dentistry practice model, and assist students in developing the appropriate questions to make an educated decision regarding this and other practice options. Develop interactive and engaging experiences that give students the opportunity to explore various types of practice models that include interprofessional experiences. I agree it is incumbent on us to educate students to make informed decisions about their employment options after graduating and to better prepare them for the transition to practice. On the most fundamental level, our graduates need to understand that, as Gary and his co-authors put it, “[T]here are no circumstances…that absolve dentists from responsibility for the treatment of their patients.” That may be harder to appreciate in a corporate environment than in a small private practice setting—or not. Many DSOs offer mentoring and formal continuing education (CE) programs structured to help recent graduates transition to practice. Heartland Dental, the largest DSO in the United States, invests heavily in professional development, offering 200 hours of supported CE courses to its dentists each year. Patrick Ferrillo, Jr., D.D.S., a past president of ADEA who served as dean of three dental schools and, until recently, sat on the Heartland board of directors, told me that Heartland even incentivizes CE with significant financial bonuses, some of which are large enough to pay off a dentist’s student loans. That financial benefit aside, he says the reason DSOs sponsor professional development programs is to cultivate better dentists. “If you are better educated, better prepared, your practice is only going to flourish,” he says. Pat joined the Heartland board at the request of a former student at the Southern Illinois University School of Dental Medicine: Heartland founder Rick Workman, D.D.S. At the time, Pat recalls, DSOs were highly controversial. Although he had moved to the University of Nevada, Las Vegas, by then, Pat knew his former colleagues in Illinois didn’t like the idea of a large corporate practice competing with their alumni for patients. Nevertheless, he was curious. “I saw this as a new opportunity for our graduates to consider, and I knew Rick was very conscientious, that he cared about the quality of care, so I decided to be engaged,” Pat told me. After 12 years serving on Heartland’s board, Pat has concluded that the overall concept of DSOs is positive, and that there’s a reason they are experiencing such rapid growth. “It’s an attractive alternative for graduates coming out of dental schools and for those who are thinking of slowing down, so to speak, and want to sell their practices,” he told me. Part of that attraction is that DSOs allow dentists to practice dentistry and enjoy a better work/life balance than those who own their own practices. So how would he like to see dental education evolve to better prepare students for the changing practice environment? Pat would like faculty who are sending a message to students not to consider DSOs to keep an open mind and let students decide what is right for them. I agree. One size does not fit all, and now that DSOs are part of the mainstream, we should do more to help students explore all of their career options. As Gary stated, that means helping our graduates to ask the right questions. Will the DSO I join support me in my personal career development? As a dentist, will I drive the decision-making when it comes to patient care? If the answers to both questions are yes, then DSOs appear to be a career option well worth considering.